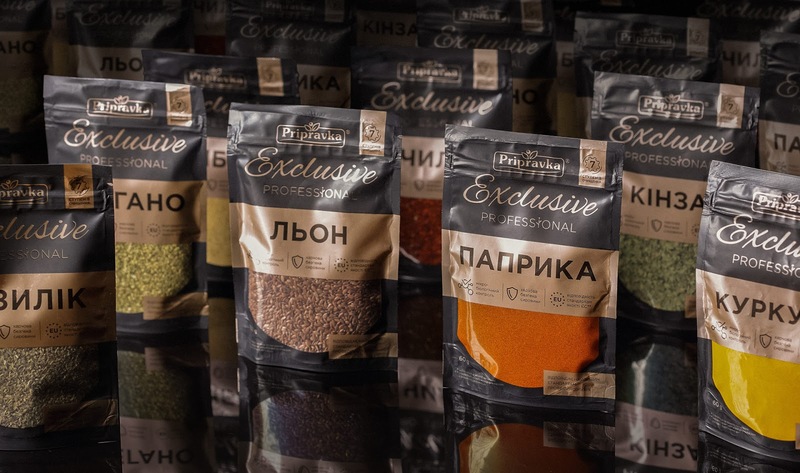 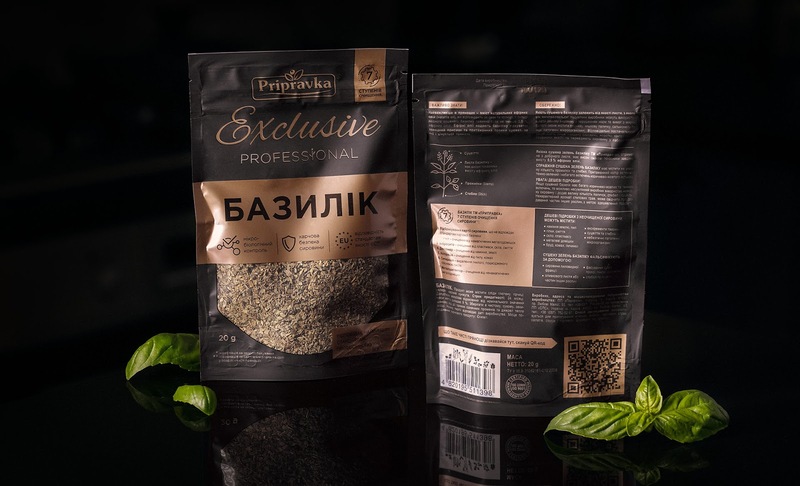 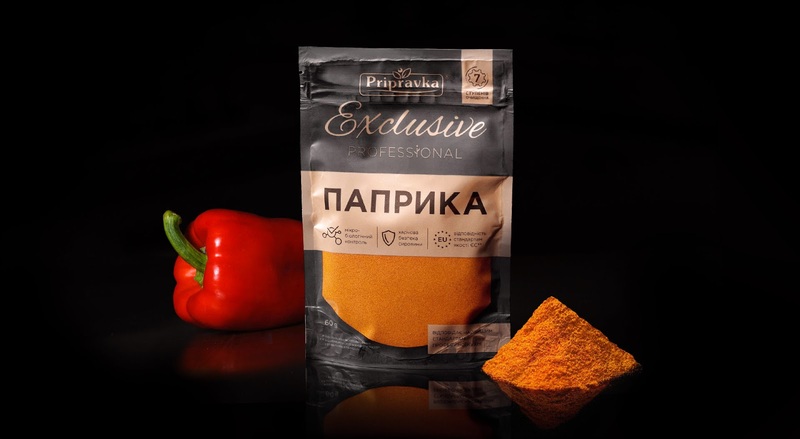 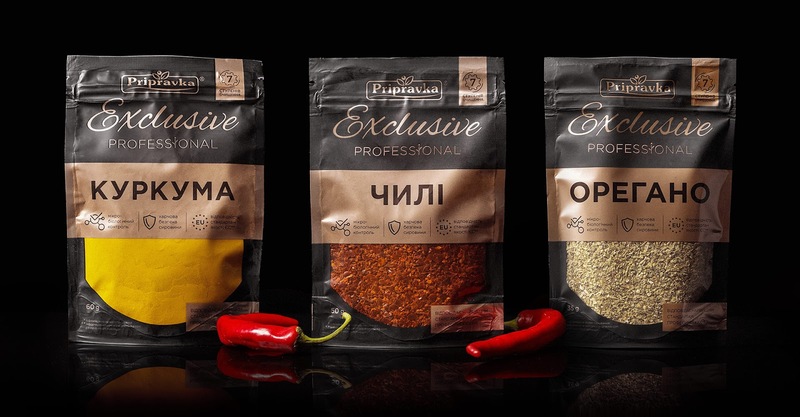 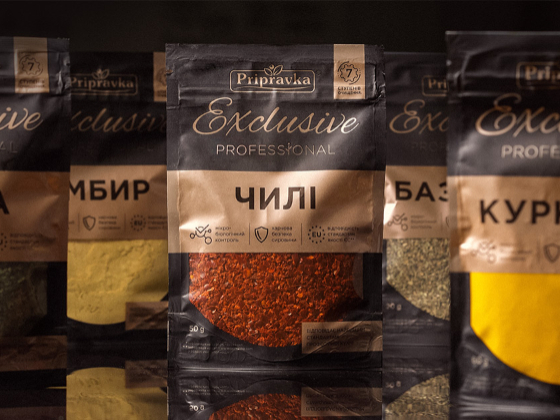 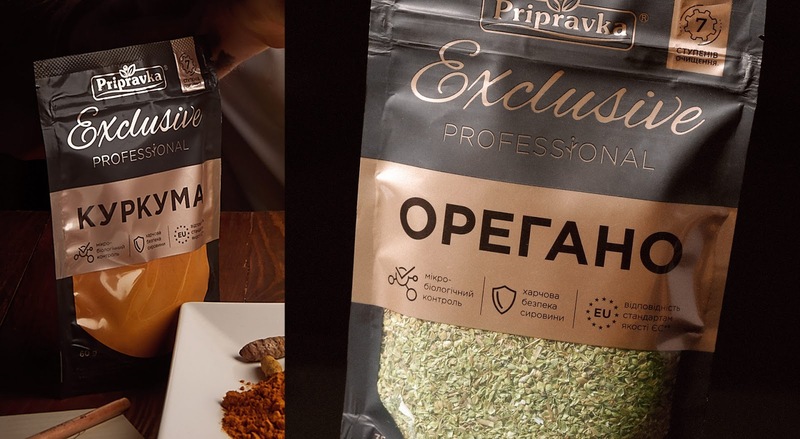 “Exclusive Professional” spice series is a collaboration between the manufacturer — “Pripravka” TM and professional chefs. 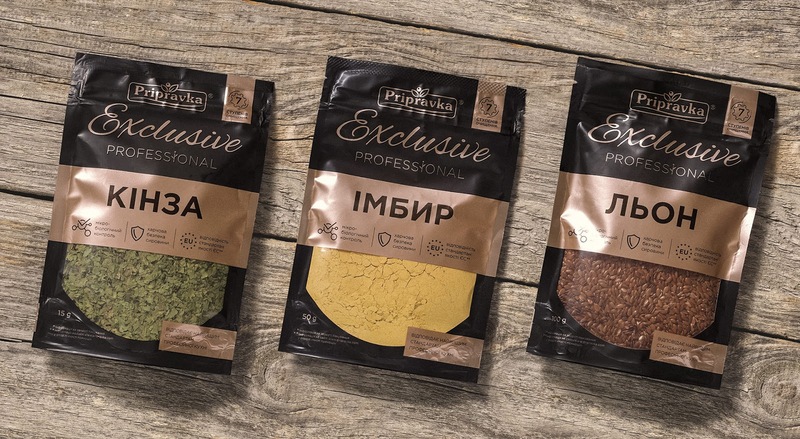 This is a series of 10 high quality spice blends that meet the highest standards of professional cooking. 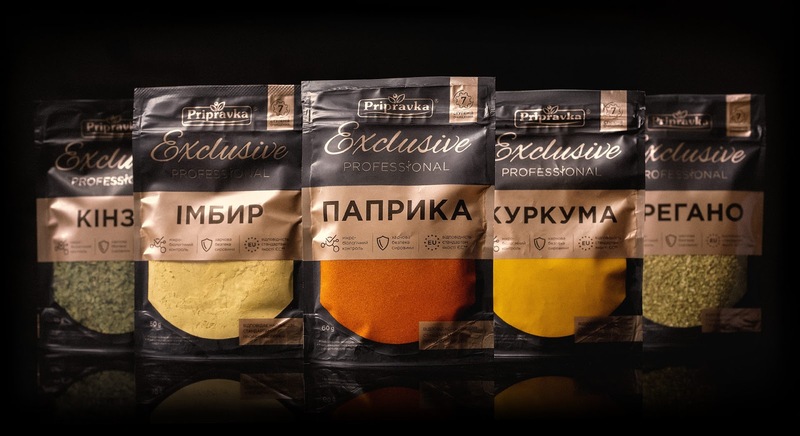 We have developed a contemporary, discreet, and elegant packaging design in dark colors, with bronze details accentuating the product’s exclusivity and uniqueness. 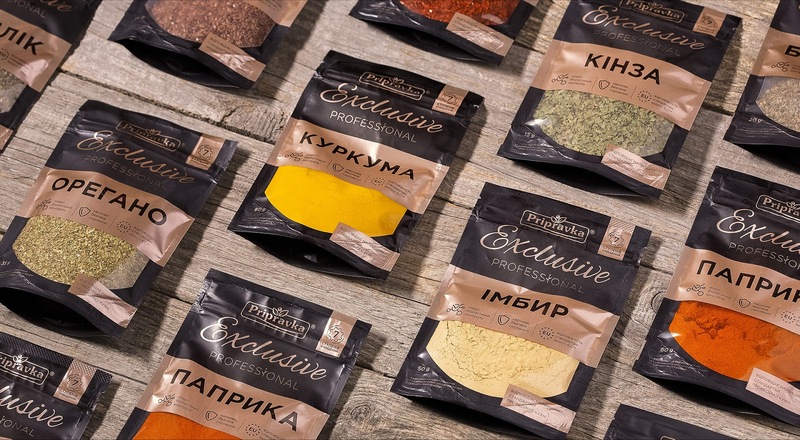 The sheer window on the front of the package is the main element in design which also allows consumers to visually assess the quality and naturalness of the product.